DRIVE AWAY 2DAY believes in giving people second chances. Bad credit, no credit, repossessions or bankruptcies? We understand life can be challenging and hardships can fall on anyone. 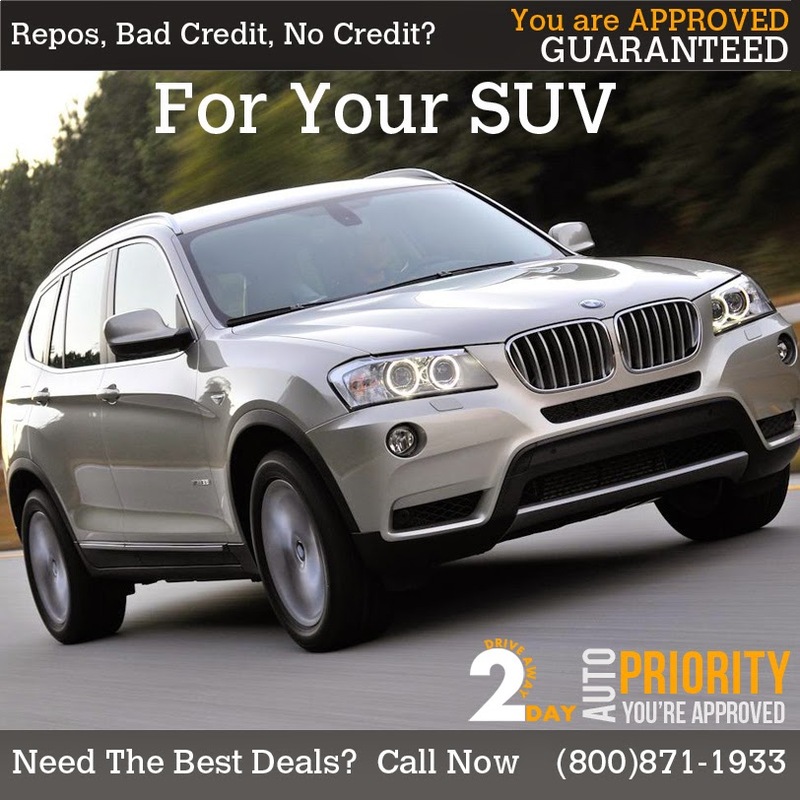 We can help you get you approved with one of our many Guaranteed Credit Approval programs. Our easy to follow 3-step process will get the ball rolling on securing the dependable vehicle that you need and WANT. Based on the terms and financial limits you set, you can be driving home 2Day in the car of your dreams. DRIVE AWAY 2DAY understands that purchasing a vehicle in these tough credit markets can be discouraging and time consuming. That’s why we take the grunt work out of it for you. Our qualified team of vehicle professionals will take your information and develop a deal that is right for you, regardless of past credit decisions. We believe everyone has the right to drive a car they are proud of. With over 30 years of experience in automotive purchasing, we feel we are more than competent to put a deal together that is right for you. Call us now and we will help you Drive Away 2Day! (800)871-1933.